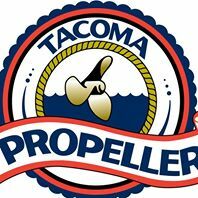 Tacoma Propeller is located in a state-of-the-art propeller facility in Tacoma, since 1954. Within our 40,000 square foot location, we stock everything we sell online and are committed to ship 99% of our online sales in one business day. We are propeller specialists that have 50 years of proven experience in selling the correct propeller for your boat. We are a certified propeller repair facility by the National Marine Propeller Association.